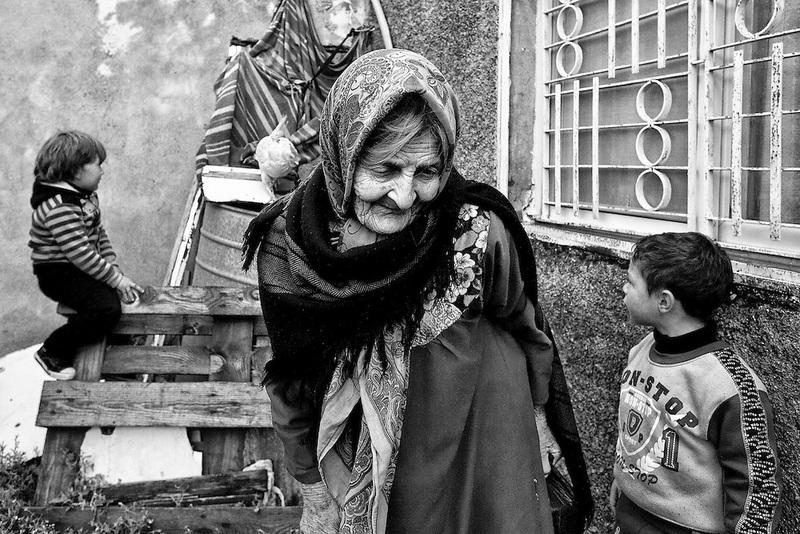 An elderly woman and her grandchildren in the village of Nabi Saleh. Mar. 25, 2011. West Bank, Palestine.